You can join, either at the beginning of the term (when we will however be just finishing the work!) or later in the autumn when I will be ready to start a second group. Please contact above. 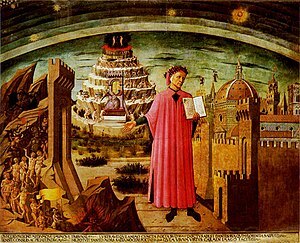 Dante’s Commedia, a narrative poem written in the early 1300s, divides into the Inferno, the Purgatorio, and the Paradiso, and is a ‘vision’ in which Dante, lost in a dark wood in the middle of his life, is rescued by Virgil and led on a monumental journey, by him, and later by Beatrice, through those three realms. Much of the interest centres on the people they meet and converse with, but the focus is on what Dante learns about the human capacity for good and evil, and the nature of the good life. This group will look at a generous selection of cantos from each of the three books, aiming to complete the journey in about three terms, Autumn, from September 2018, Winter/Spring 2019, and Autumn, from September 2019, (avoiding the summer months). 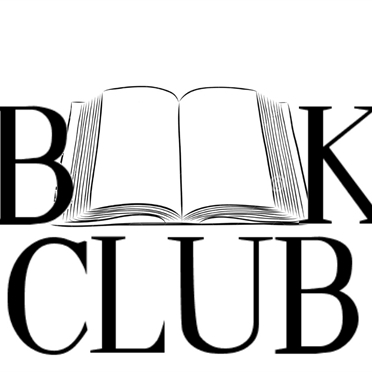 This group is for all types of reader: anyone who has always wanted to get to know this great work better but has little knowledge of it as yet, as well as anyone who has started, or dipped in, but never finished or read the whole. Those who know part or all of the work well would of course be especially welcome and anyone with knowledge of Italian (though Dante’s Italian, I gather, is different from modern Italian) and Italian culture would obviously be especially welcome! Monthly, second Tuesday at 10.30 – 12 Noon. Vacancies – Not at present but contact above. Our aim is to promote friendship by reading a wide range of books from the classics to contemporary fiction. 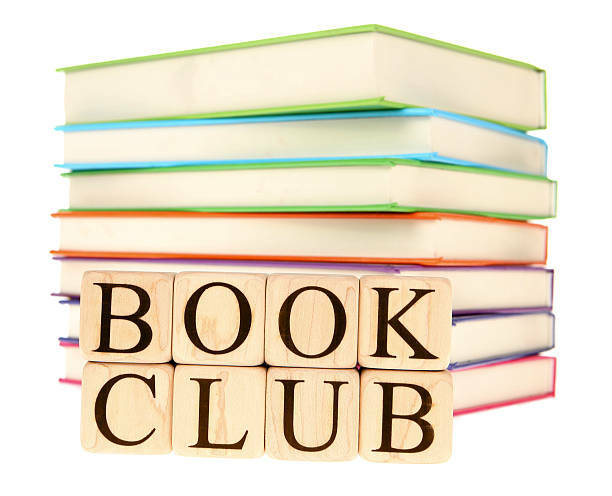 In addition to discussing the chosen title members are encouraged to recommend other books they may have read. Second Monday morning of the month in the meeting room of BSE library. First Thursday of month at 10.00am. in the meeting rooms of BSE library. 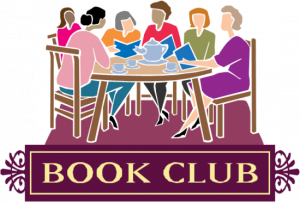 Members take it in turns to choose a book and introduce it and we then have a wide-ranging discussion about the book and issues arising. In the last year we have read an eclectic range of books. A lively, informal reading aloud and brief discussion of poems chosen by members on previously agreed themes and topics. The Theatre Group meets quarterly in The Hyndman Centre to plan a programme of theatrical visits over the next few months. We visit Theatres for Plays, Comedies, and Musicals and, also, the local Cinema for live transmissions of plays from The London Theatres and Stratford. Over the last 12 months, our venues have included The Globe and The Menier Chocolate Factory both in Southwark;The Stamford and Regents Park open-air theatres; The Mercury, Colchester; Wolsey, Ipswich and 2 Norwich Theatres. First and third Friday mornings, September-June at 10am at a member’s home. We read and study selected works of Shakespeare. Second and fourth Thursdays of the month (September – June) at the Quaker’s Meeting House, Bury St Edmunds from 10am to 12am. This is a new group (starting 8th Feb 2018). We read, study and discuss a selection of Shakespeare’s plays. The idea is to have some intellectual stimulation and plenty of fun. We are a small group of poets, who currently meet in the Old Cannon Brewery where we workshop our own poems in a friendly atmosphere, and discuss a different form to (hopefully) work on for the next date! Some of us have been writing for years, some are quite new to poetry, but we all welcome the chance to be be with other writers, and find ways to develop our craft. Members choose 1 or 2 films every month which we see independently and then meet to discuss them. Discuss films seen and agree what to see. Two meetings each month; 2nd Wednesday of the month at 10.15 am upstairs at the Abbeygate Cinema. 4th Wednesday of the month at 10.15 at alternative venue for film screening. Discuss and watch films ,new and old and much more. First and third Thursdays, 10 am to 12, starting 20 September 2018. This group will focus on the major poems of T. S. Eliot, ‘Prufrock’, ‘Gerontion’, ‘The Wasteland’, ‘The Hollow Men’, ‘Ash Wednesday’, the ‘Ariel’ poems, and ‘Four Quartets’. For each of these, we will also look at another text (poetry or prose or play extract), published or written at about the same time. These will be drawn from a range of English and Irish writers, and European poets in translation.